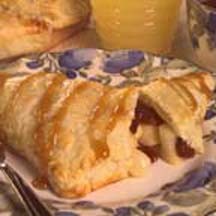 CooksRecipes has quality, kitchen-tested recipes for a variety of turnovers (i.e. ; hand-held pies) that you can count on for successful deliciousness. 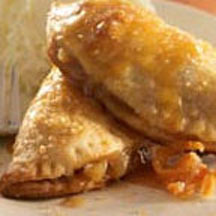 These Fuji apple and mascarpone turnovers, drizzled with orange caramel, were created by Chef Kent Rathbun. 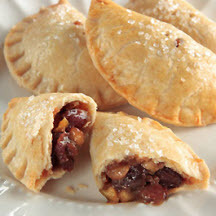 Turn escalloped apples into an extra-fruity pastry with the addition of dried cherries. Wrap the fruit in delicate puff pastry sheets and bake until crisp.